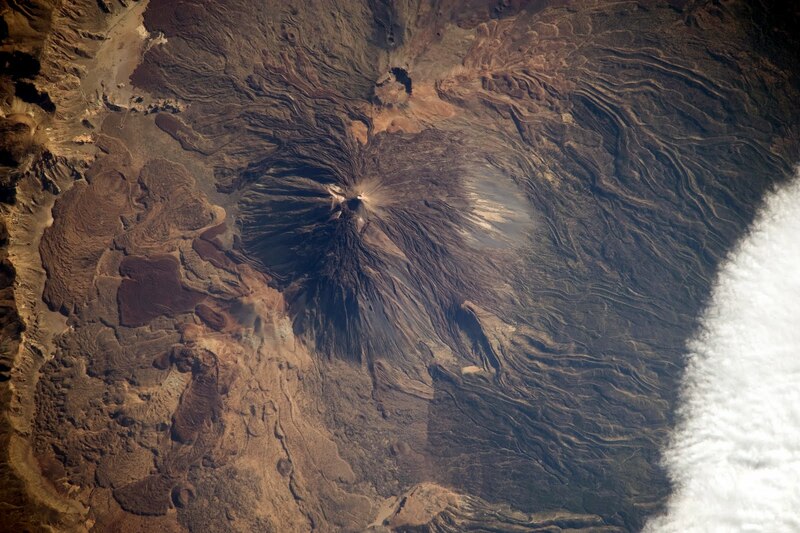 El Pico del Teide (The Peak of Teide) is the modern Spanish name attributed to the volcano. The Lunar mountain, Mons Pico, part of the Montes Teneriffe lunar mountain range, situated in the inner ring of the lunar mare Imbrium, was named after this 18th Century version of the name by Johann Schröter. Prior to the 1495 Spanish colonization of Tenerife, the native Guanches referred to the volcano as Echeyde, which in the Guanches' legends, meant some sort of powerful figure leaving the volcano that could turn into hell. 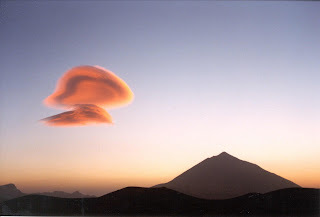 Echeyde (Teide) was a sacred mountain to the aboriginal Guanches, so it was considered a mythological mountain, like Mount Olympus was to the ancient Greeks. According to legend, Guayota (the devil) kidnapped Magec (the god of light and the sun), and imprisoned him inside the volcano plunging the world into darkness. The Guanches asked their supreme god Achamán for clemency. So, Achamán fought Guayota, and Magec was freed from the bowels of Echeyde (Teide) and he plugged the crater with Guayota. It is said that since then, Guayota has remained locked inside Teide. 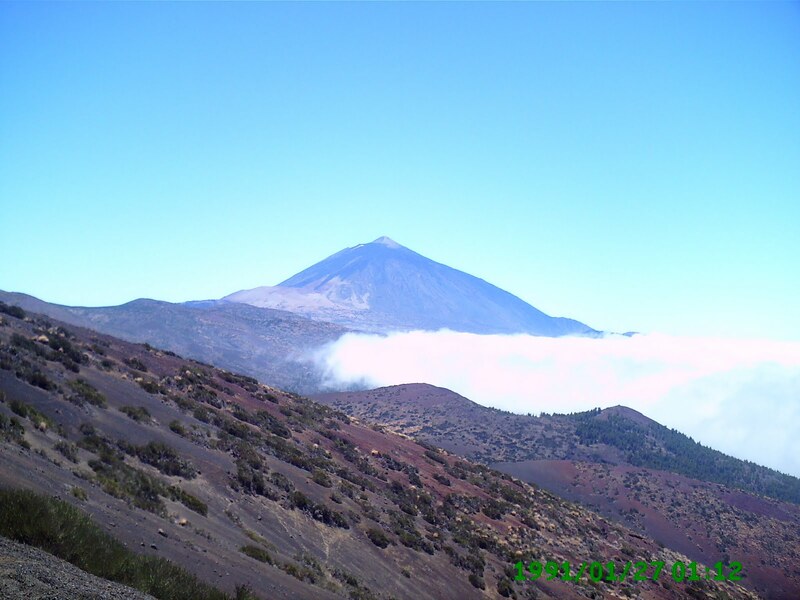 When entering Teide during an eruption, it was customary for the Guanches to light bonfires to scare Guayota. Guayota is often represented as a black dog, accompanied by his host of demons (Tibicenas). The Guanches also believed that Echeyde (Teide) held up the sky. Many hiding places found in the mountains contain the remains of stone tools and pottery. These have been interpreted as being ritual deposits to counter the influence of evil spirits, similar to the practices of the Berbers of Kabylia. The Guanches believed the mountain to be the place that housed the forces of evil, the most evil figure Guayota.